Mark Goodsell is the Director - NSW for the Australian Industry Group (Ai Group). Mark has been with Ai Group since 1985, initially as an industrial relations adviser to the manufacturing, heavy engineering and construction sectors. Ai Group is a peak industry association in Australia which along with its affiliates represents the interests of more than 60,000 businesses in an expanding range of sectors including: manufacturing; engineering; construction; automotive; food; transport; information technology; telecommunications; call centres; labour hire; printing; defence; mining equipment and supplies; airlines; and other industries. Ai Group members operate small, medium and large businesses, representing over one million employees across a range of industries. 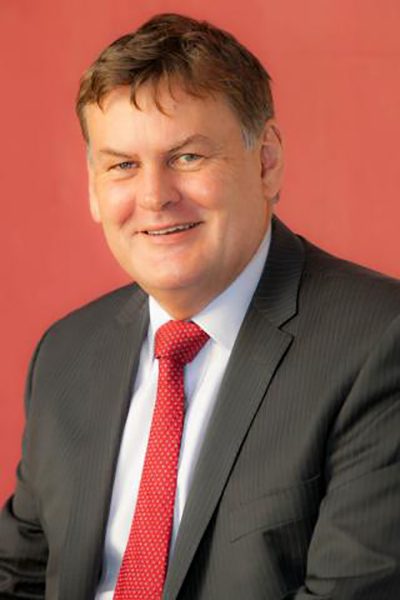 In 15 years as NSW Director, Mark has been responsible for pursuing business and industry policy issues on behalf of these businesses with both state and Commonwealth Governments, including, employment regulation, OHS and workers compensation, regulatory and occupational licensing issues, state and regional development, innovation, skills formation and vocational education.